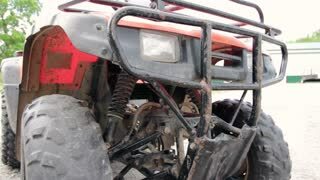 Search Results for "four wheeler"
Close-up of riding wheel of quad bike HD slow-motion video. All-terrain vehicle ATV. Four-wheeler quadricycle transport and extreme sport. 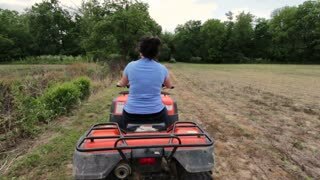 Man driving quad bike HD slow-motion video. Close-up of wheels. All-terrain vehicle riding ATV in forest. Four-wheeler quadricycle transport and extreme sport. Four-wheeler driving on the back wheels at a stunt show. PENCER, MN - 8 OCT 2016: Men in forest working together loading firewood logs into box of four wheeler vehicle. Birds eye view of four wheeler driving around large empty field by a lake. Drone shot from a birds eye view. Birds eye view of driver starting up four wheeler in a huge empty field, with drone moving up higher and higher. Aerial camera follows 4-wheeler, ATV with two riders on it as they move across a scrubby desert with the sea and mountains in distance. Aerial view of ATV 4-wheeler going across the sand in an exotic setting with palm trees, mountains and sea. Elderly man holds a selfie stick while a young man and a woman prepare to get on an ATV or 4 wheeler. Aerial camera following an ATV or 4-wheeler down a beach just before sunset. A still shot of a four wheeler white truck that is on board to a ship. 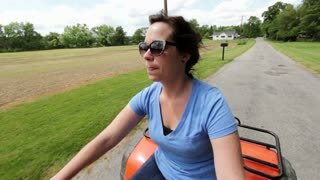 Man driving quad bike HD slow-motion video. All-terrain vehicle riding ATV in forest. Four-wheeler quadricycle transport and extreme sport. Man driving quad bike 4k video. All-terrain vehicle riding down hill. ATV in forest. Four-wheeler quadricycle transport and extreme sport. 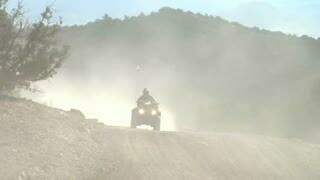 Man driving quad bike HD slow-motion blurred refocus video. 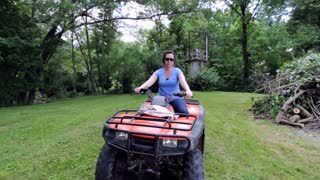 All-terrain vehicle riding ATV in forest. Four-wheeler quadricycle transport and extreme sport. Four-wheeler driving through a wall of fire at a stunt show.